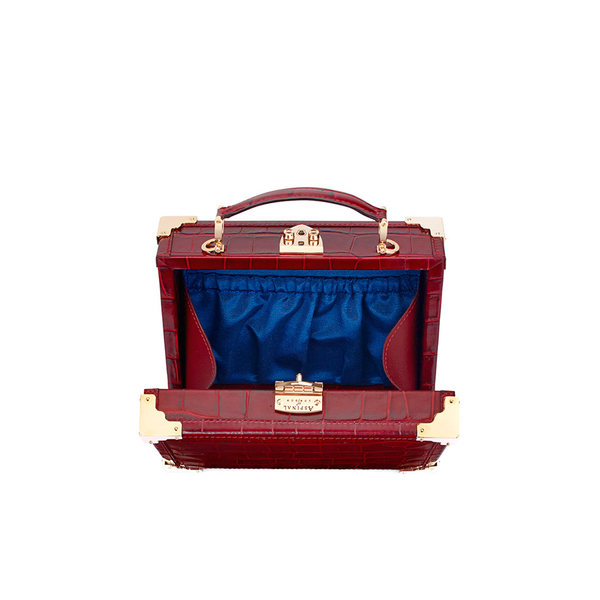 Vintage trunk suitcase inspired clutch from artisans in luxury design, Aspinal of London. 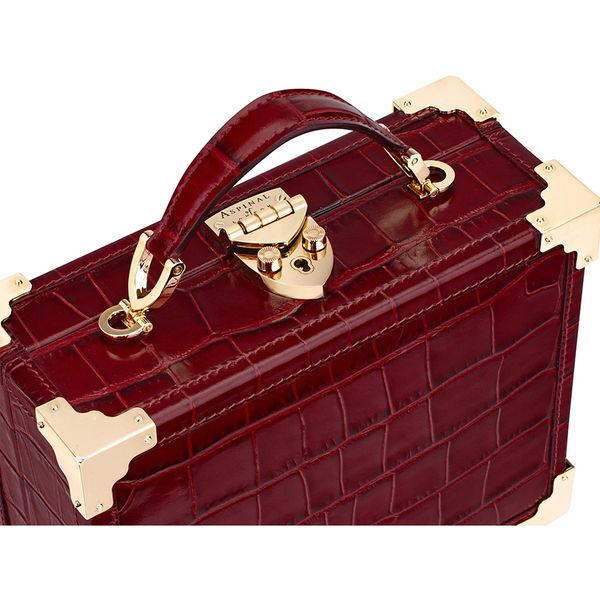 The boxed shaped clutch is handcrafted using the finest Italian calf leather with a mock crocodile finish. 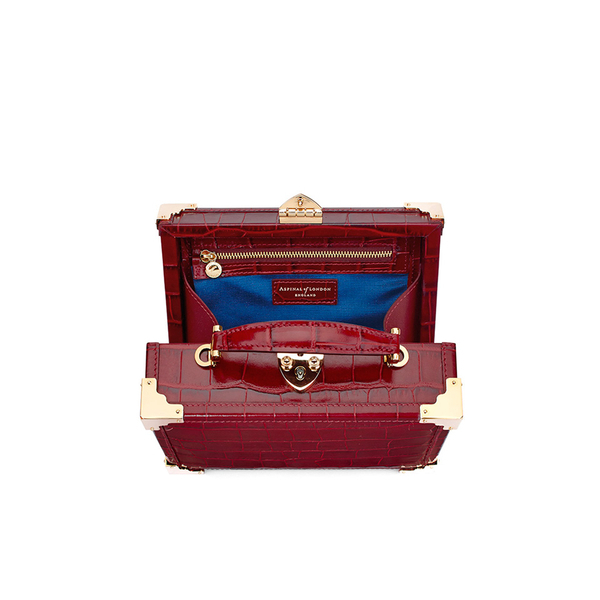 Authentic details usually found on a traditional trunk are also featured on the clutch, including: a shield lock clasp and metal trimmed corners. 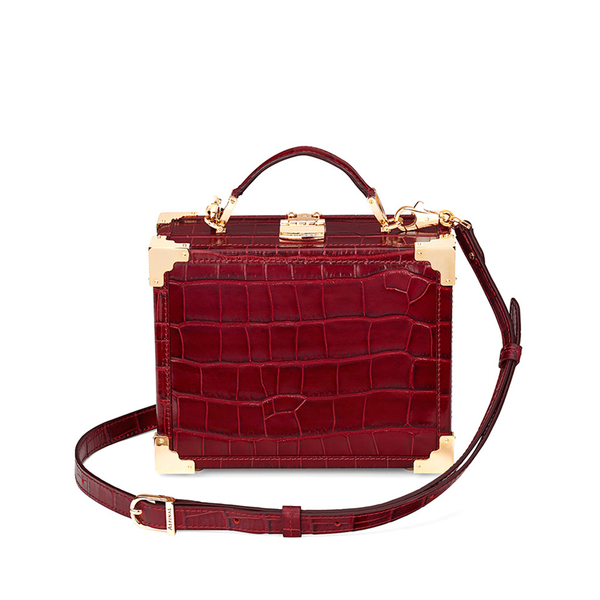 A top handle and adjustable, detachable cross body strap offer versatile carrying options. 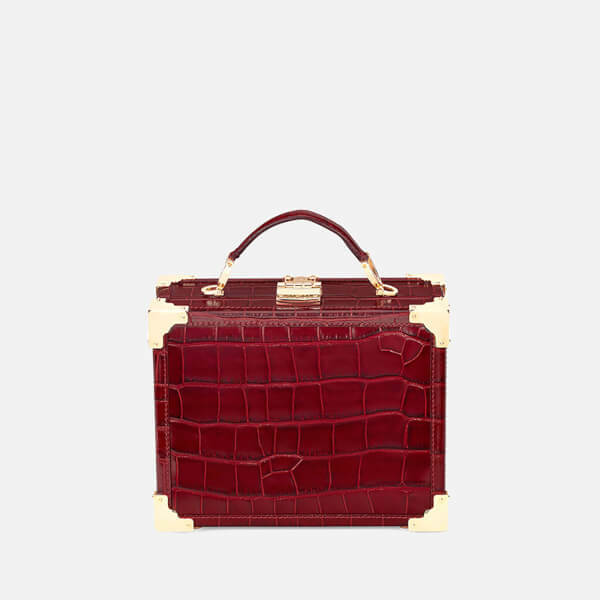 A zipped and slip pocket feature within the grosgrain lined interior. Supplied in a protective Aspinal felt bag. Dimensions: H: 14cm x W: 18cm x D: 8cm. Handle Drop: 6cm. 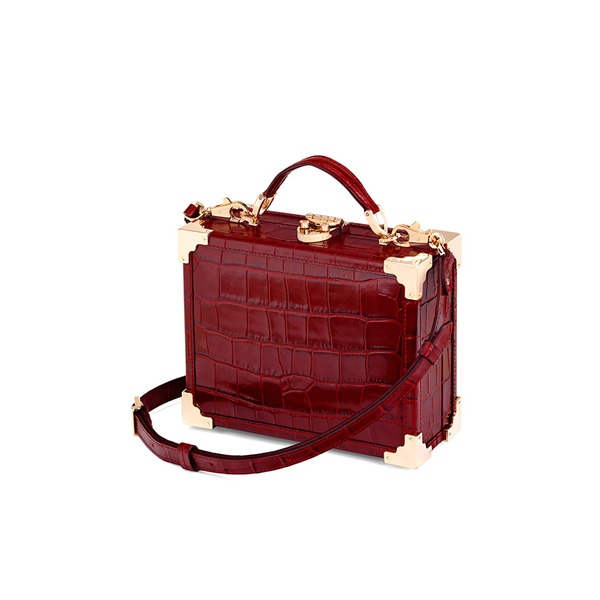 Detachable Cross Body Strap: 56cm.